At Acloché, finding your next great job opportunity is so much more than just completing an application. Our team is fully committed to connecting you with the best opportunities to complement your goals and skills in the field of medicine. We’re committed to knowing you. We offer Registered Nurse (RN) jobs, Medical Assistant jobs, STNA jobs, Nurse Practitioner jobs, and many other rewarding medical careers in Columbus and throughout Central Ohio. 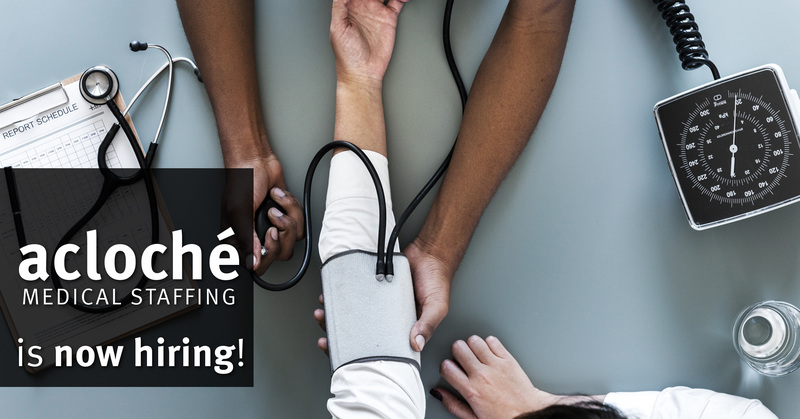 Acloché Medical Staffing serves all of Central Ohio including Delaware, Dublin, Gahanna, Hilliard, Lancaster, Marysville, Newark, New Albany, Reynoldsburg, Worthington, and downtown Columbus. Let us connect you to incredible careers in medicine including RN jobs, STNA jobs, Physician Assistant jobs, Medical Assistant jobs, and more!